LAS VEGAS, NEVADA, June 7, 2018 – Meeting the commercial AV industry’s demand for a robust, all-encompassing automation platform, Nortek Security & Control today introduced ELAN® to InfoComm 2018 attendees in Booth #C2612 in Las Vegas, Nevada at the Las Vegas Convention Center. While ELAN is recognized in the residential channel as a user-intuitive and installer-friendly platform, NSC Senior Director of Marketing Bill Hensley today said that ELAN is increasingly being used in commercial projects that require full management over sub-systems like audio, video, security, lighting and climate. ELAN automates routine control through customized “events” and schedules, making facility management easier than ever. For example, a facility’s thermostats, shades and lighting can be scheduled for proper ambience throughout operating hours, freeing the staff to focus on the customers. 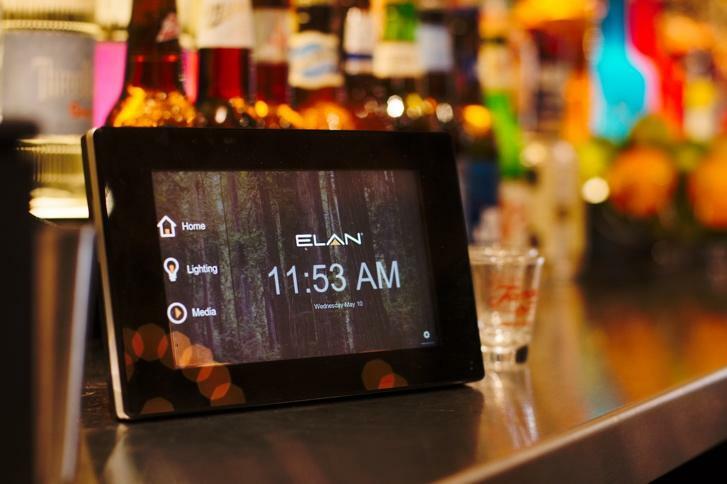 ELAN has recently been installed in commercial venues around the world, such as the PLAY Restaurant & Lounge in Dubai; the Nashville Underground bar in Nashville, TN; the College of St. Benedict in Rogers, MN; and many more.